Advertising in the 50s - wow. Summer is officially almost over - boo. My very fair boys have loved swimming in the pool, going to the beach, running around half naked and all the other great things you do when the weather is nice. The biggest thumbs down of all though I think goes to me.. When changing my youngest the other day I realised he had a full on tan - his little white bum in contrast to his brown body as the stark evidence staring me in the face. Crap. Where had I gone wrong? We all know Aussies are like ants living permanently under a microscope and so need to cover up and wear suncream at all times - especially children with their precious, soft, undamaged skin. But I'm great at getting my boys to wear hats whenever they're outside, and always put suncream on them...don't I? Well actually come to think of it...if it's cloudy, or it's late in the day, or if I've already put cream on them once...ok, sometimes I skip it. Especially when I know I'm going to have another crazy fight on my hands when applying it. Is this really that bad though? I know the importance of 'slip, slop, slap,' but how much sun damage can they REALLY get at 4 o'clock in the afternoon? 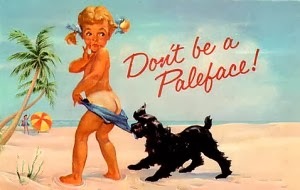 Skin cancer awareness is so much higher now than when I was growing up (when sunburn was a summer staple and no one used the word 'sunscreen' - which I still can't get my head around by the way). But do we REALLY need to cover up like crazy if there are clouds ahoy? Overcast days - how important is it to protect yourself from the sun? It really is dependent on the UV level on the day. A lot of people assume that if it's not a hot or sunny day then they don't need to use sun protection measures. What we recommend is that people check the UV level that day and if it's 3 and above (moderate), sun protection measures need to be implemented. People need to think UV, not heat. Early morning and late afternoon - the sun can't be that strong then so are hats/suncream still necessary? Once again it really depends on the UV levels at those times. The sun's rays are strongest between 10am and 2pm (11am to 3pm during daylight savings), however we recommend people to check the UV level and if it's 3 or above, then sun protection measures need to be implemented. Is it true that early childhood years are the most important for protecting skin from the sun? Exposure to the sun in childhood and adolescence is an important factor in the development of skin cancer later in life. Sunburn in childhood is a particular risk factor, however, your lifetime or 'cumulative' exposure also plays an important part. Current scientific evidence suggest that the damage to cells is done in childhood but exposure to UV radiation in adult years triggers skin cancer. How often does suncream really need to be applied? Suncream should be applied 20 minutes before going outside, to allow it to bind to your skin, and reapply every two hours, in case it's been wiped or washed off. Reapplying regularly also means you're more likely to cover any parts of the skin you may have missed. 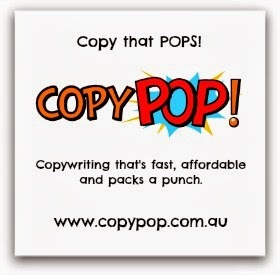 Apply generously. Unfortunately too many people don't apply enough and are getting a lot less protection than the stated SPF of their sunscreen. Most brands provide instructions on the bottle on how much to use for optimal protection. Ok, there you have it. Proof for what I knew all along. Basically I need to stop being lazy and get more diligent about slapping on the old suncream and covering up my boys and myself - especially in summer. After all, my skin needs all the help it can get and who better to set a good example for my children? I have also never checked a UV level in my life - something else I'm now going to be getting jiggy with as well. So as cute as it was, I guess there'll be no more tanned beach bums for this family! For more info on skin cancer prevention and sun protection, visit: www.cancercouncil.com.au/sunsmart. The UV SunSmart Alert is available here, in most newspapers or via a free downloadable app. So I surprised my husband last night with an early Valentine's Day treat - pizza making classes at a cool Italian restaurant. It was great fun! I even won best pizza of the night. 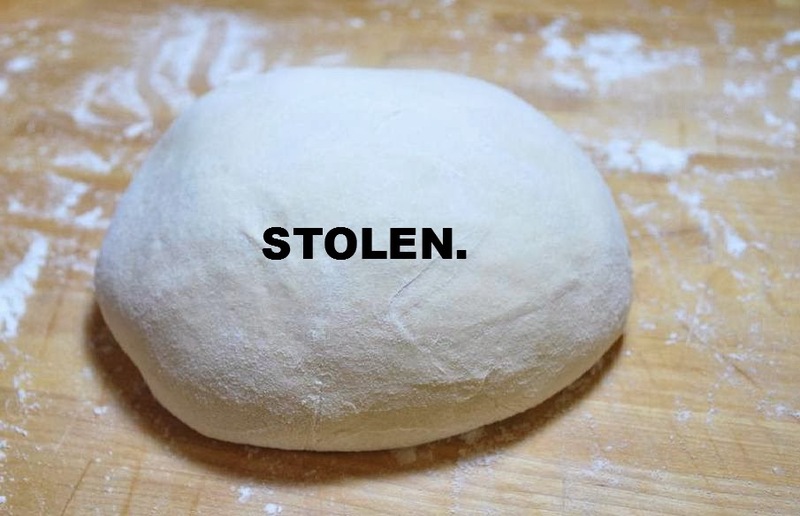 But...some lady stole my dough. Yeah that's right, not money. Actual dough. More precisely, a dough ball. She stole my ball. We rock up to the pizza making class. I'm next to an annoying lady and her friend. We all make pizza dough balls to take home. The instructor takes one of mine to show some of the others. He leaves it next to the annoying lady by accident. She picks it up, pops it in a container. Her friend snaps the lid down and puts the container in their bag. I tell the lady she took my dough. I tell him to forget it. I win the best pizza prize. We eat pizza, drink wine and go home - minus one dough ball. I know my husband and I are cursed when it comes to getting ripped off in restaurants but this was something entirely new. Why on earth would that woman have done that? She wasn't young either, in her 40s at least or most likely older (let's make her an old hag for the sake of this story). Ok I know it's just a pile of dough but that's not the point. Is this what the world is coming to? Move aside money, people are now out for your actual dough. The Doors were right - people are strange. Have you encountered any nut jobs lately?